Connect a StudioLive 16.0.2 mixer and you’ll instantly hear details and clarity you’d expect to find only in a much more expensive console. 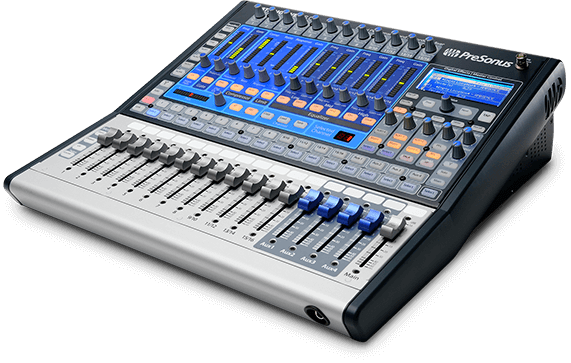 StudioLive mixers operate at up to 48 kHz for high-definition mixing and recording. High-quality Burr-Brown converters on every input and output provide a best-in-class 118 dB of dynamic range so you’ll catch every high and low with great accuracy and no audible distortion. And our XMAX microphone preamps deliver incredibly high headroom, deep lows, smooth highs, and a rich overall sound. We start with a great microphone preamplifier. The job of a microphone preamplifier in a digital mixer is to boost a microphone-level signal to line level before conversion to the digital domain. A good preamp boosts the level to almost 400 times that of the original signal, making the preamp one of the most important stages in an interface. A cheap, off-the-shelf, op-amp-type mic preamp delivers thin, noisy, harsh results. But with XMAX preamps, the sonic quality is limited only by the microphone you plug into it. The net result of the XMAX preamp design is high headroom, low noise, wide dynamic range, extended frequency response, and—most important—musicality and transparency. ​Once the signal is precisely converted to the digital domain by high-quality Burr-Brown converters, synchronization to your computer is stable and robust, thanks to JetPLL synchronization technology. JetPLL incorporates noise shaping to virtually remove all audio-band jitter, ensuring near-perfect clock performance and optimal converter performance when networking two or more digital-audio devices. JetPLL quickly locks to any digital format through a wide range of frequencies and is extremely robust and tolerant of wide variations in clock frequencies. As a result, you’ll experience better stereo separation and clearer, more transparent audio. The StudioLive 16.0.2’s built-in 16x16 multitrack recording interface is tightly integrated with the rest of the mixer—not an afterthought we tacked on. All 16 channels continuously stream to your FireWire-connected Mac® or Windows® PC. Each channel can independently access its analog input or its dedicated digital return from your computer. And with StudioLive mixers, recording is simple and easy: Just launch the included, preconfigured Capture™ software for one-click recording of all channel inputs and your main mix. Or record with the included Studio One® Artist DAW—or any recording software that supports ASIO or Core Audio. Now you can record in the studio or at the gig with equal ease. 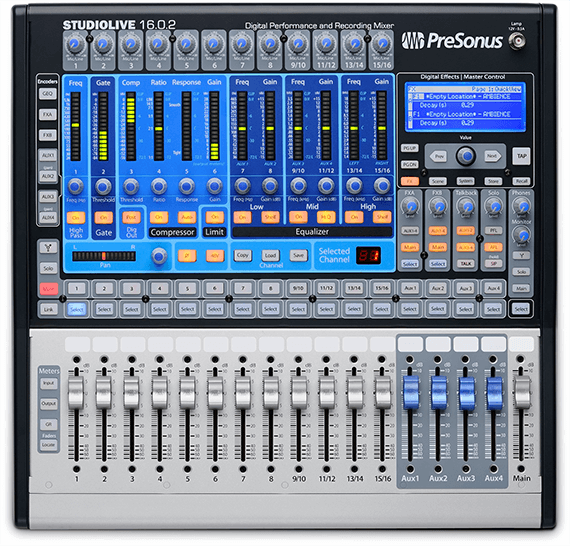 Only PreSonus StudioLive mixers are tightly integrated with an entire suite of state-of-the-art software. 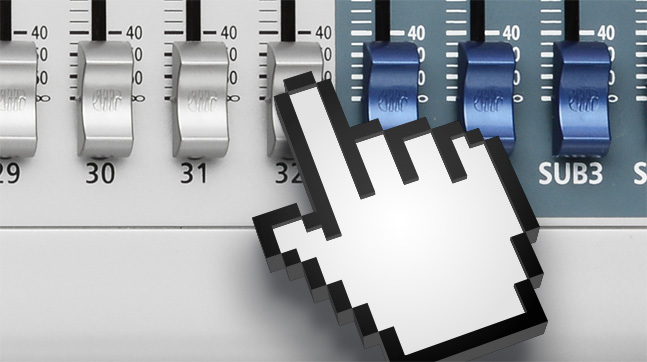 Mix on a Mac or Windows PC using Virtual StudioLive (VSL). Mix on an iPad® using StudioLive Remote. Control individual monitor mixes onstage with QMix® for iPhone®/iPod® touch. Completely automate virtual soundchecks and record shows with Capture™ for Mac and Windows. Tune your system to the room and watch for problems in your mix with VSL’s integrated Smaart® RTA and spectrograph. Edit, sweeten, and digitally release your recordings with Studio One Artist. StudioLive-series mixers and software work together to form a cohesive ecosystem that helps you achieve your creative vision. Add excitement to performances with MIDI control. Being able to control the 16.0.2 from an iPad, iPhone, or iPod touch is cool — unless your hands are busy playing your instrument. That’s why the StudioLive 16.0.2 offers something even the bigger StudioLive AI-series consoles don't: MIDI In and Out. 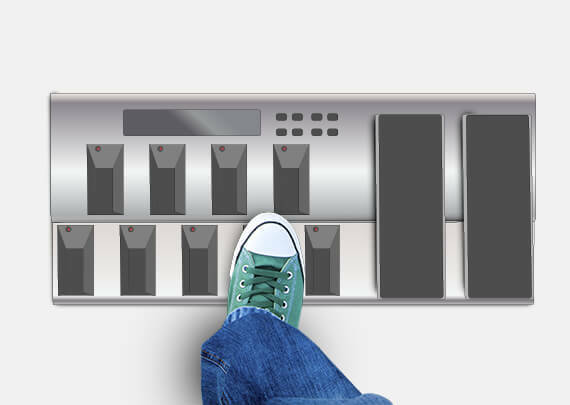 Use a MIDI footpedal or DAW to recall scenes using MIDI Program Changes, control the main output volume and effects level, mute effects between songs, switch from lots of reverb to a little bit of delay, and change the mix for a solo. 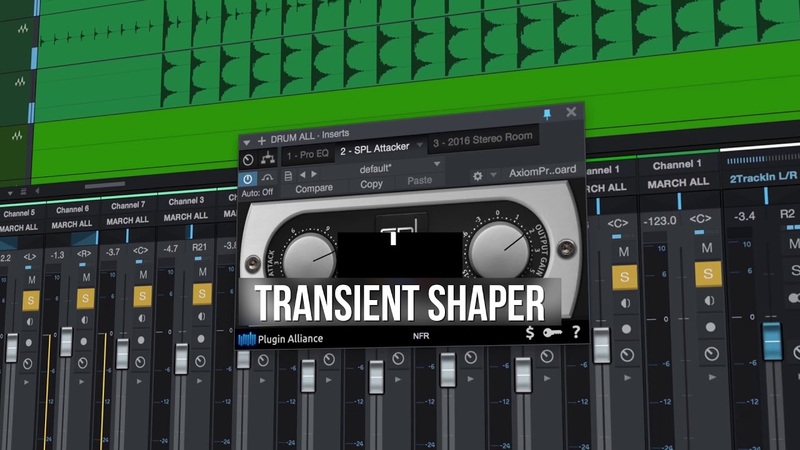 You can even automate these features with a DAW! It’s a great way to make your performances more exciting and varied, even if you don’t have a separate soundperson. Better mixing with StudioLive family values. It's easy to love this portable powerhouse. To learn more, visit the Media tab on the upper section of this page and watch our StudioLive 16.0.2 videos. Better yet, try a StudioLive 16.0.2 at your nearest PreSonus dealer. You’ll see what we mean about intuitive ease-of-use. You’ll hear what we mean about Class A preamps, rich DSP effects, and overall sound quality. And you'll come to believe in StudioLive family values. The low learning curve makes the 16.0.2 a great tool for a venue that has many different individuals in the engineering hot seat, especially for those that may not be familiar with digital consoles. If you had the guts to read everything mentioned in this review, then you know as well as I do that this mixer is indeed a great buy. It’s abundantly clear to me that PreSonus’ developers sat down and really thought through the creation and implementation of this mixer. The build quality is solid, and real thought has obviously gone in to who is going to use it, and how. The layout is sheer genius in simplicity, and I must admit I thought it would take me much longer to find my way around it than it actually did.